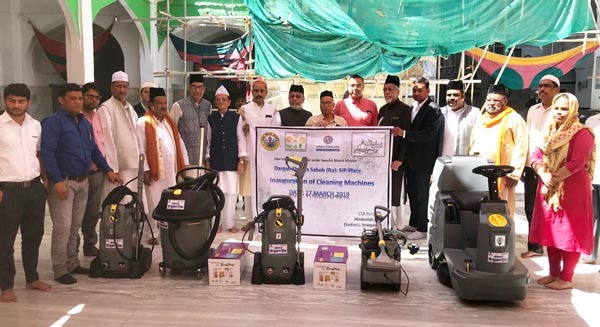 Taking this initiative forward, Hindustan Zinc has handed over 11 advance and deep cleaning machines to Dargah committee on 17th March, 2019. These machines have been selected to perform different forms of cleaning job and every machine has unique specification for dry and wet surface. There are also vacuum cleaners, high pressure washer, ride on scrubber drier and carpet cleaning machine. This initiative is an important step towards marinating high quality cleaning and hygiene that will led tohigher level of sanitation and facility management at Holy Shrine-Ajmer Dargah Sharif.